Contact Us – The Company you can trust who provides you with the service you deserve. Please fill in the contact form on this page with your inquiry and we will be in touch with you shortly. 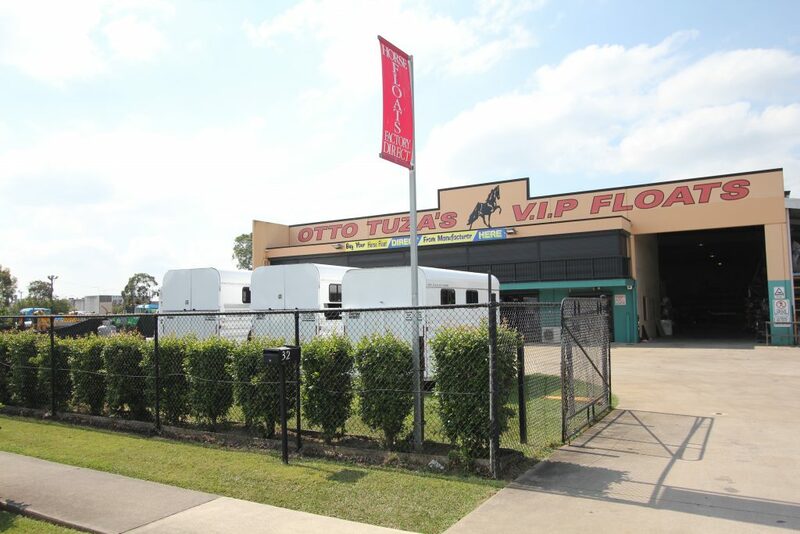 Otto Tuza’s Vip Floats is committed to manufacturing the highest quality horse floats for our Australian market. Whether you are interested in buying a new float or if you just need support with your existing Otto Tuza Vip float, please don’t hesitate to let us know by sending us a message below. Quality is number one -We build our horse floats from high quality materials. Engineering designed- Our horse floats are designed for strength, durability and to last . Australian made and proud of it-We build our horse floats at our factory in Caboolture, Queensland. 5 year warranty on the suspension. Custom built floats are our specialty. Custom designed and built to last. Quality – Safety – Service and Value for money. Support is always available- When you need help, we are here for you. Otto Tuza’s V.I.P. Floats Pty Ltd – Australian Made Horse Floats-Australian Owned- Providing Australian Jobs. For over 20 years now Otto Tuza has built Australia’s Highest quality Australian Made horse floats supplying his horse floats to customers Australia wide.